As part of our partnership with NIBA, Barchart.com, Inc. is happy to extend discounts of 20% to NIBA members on various Barchart and Commodity Research Bureau (CRB) products and services. Barchart and CRB also offer affiliate programs where you can directly offer our services to your clients and prospects for lead generation as well as revenue sharing. 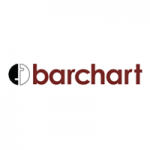 Barchart's services include integrated website content like futures quotes, charts and news, website hosting and management, real-time front-end applications like Barchart WebStation for quotes, charts, analysis and trading, as well as data feeds and historical data. CRB's products include a variety of publications, research and data services like Trends in Futures, CRB TrendTrader, CRB DataCenter, Futures Market Service and CRB Commodity Yearbook. AgriCharts, a division of Barchart.com, provides website hosting including market data, charts, news, and weather. As a NIBA member you will receive 20% off your website hosting service with AgriCharts. We believe connecting research and education to business development is the key to the growth of the industry. In recent years, the demand for understanding managed futures has grown to an unprecedented level. 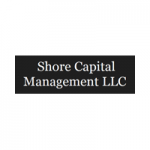 In 2011, Mark Shore, founder of Shore Capital Management developed the first university graduate level course on managed futures. 1) Providing Research on managed futures and asset allocation such as the popular Skewing Your Diversification and Decoding the Myths of Managed Futures. 2) Consulting to alternative investment firms around the globe, such as CTAs, IBs, FCMs, Fund of Funds, Exchanges and Institutional Investors, including manager due diligence, business development and educational workshops on managed futures. 3) Publishing Articles on Economics, Futures, Commodities, Behavioral Finance, Managed Futures, and Market Commentary.